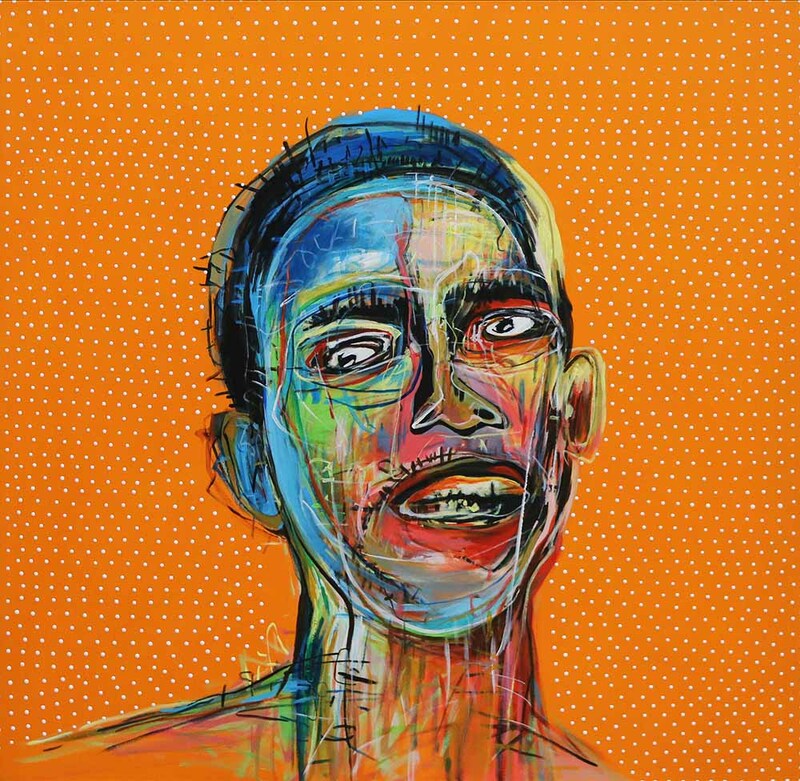 Ley Mboramwe is a Cape Town based artist, originally from Kinshasa, DRC. 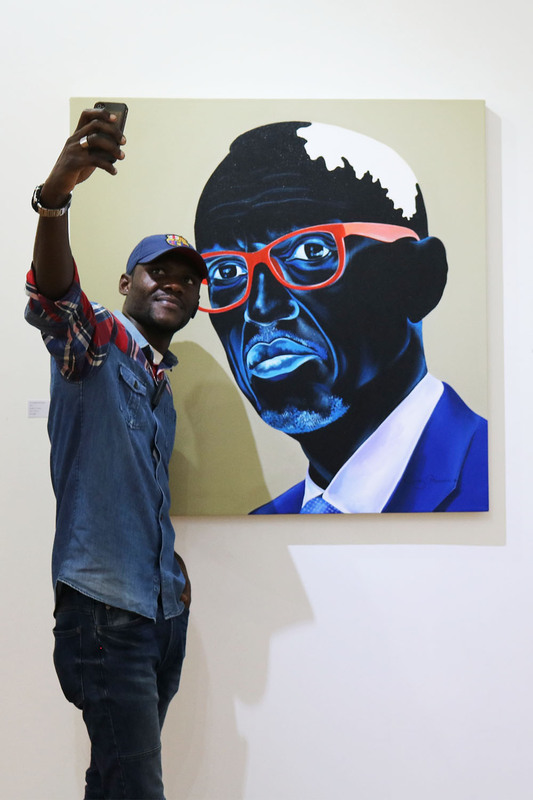 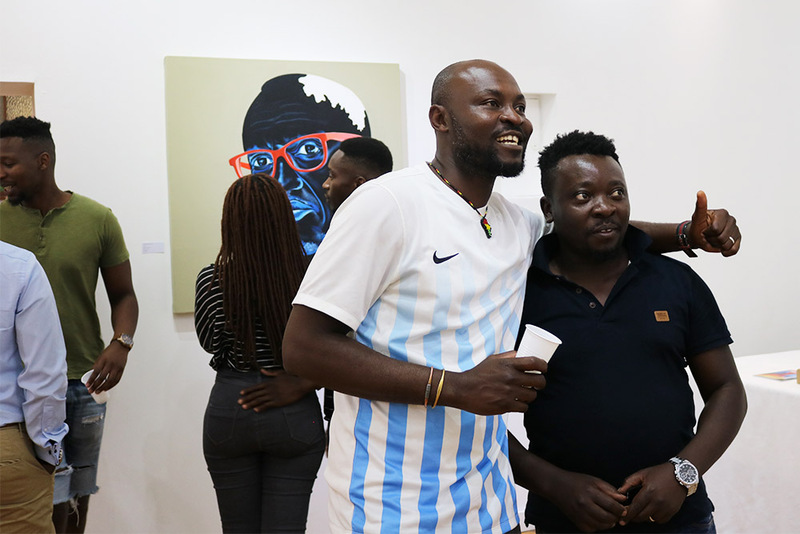 He completed his degree in Fine Art at the Académie des Beaux-Arts in Kinshasa, overcoming the loss of his parents and managing to qualify in the midst of the war. 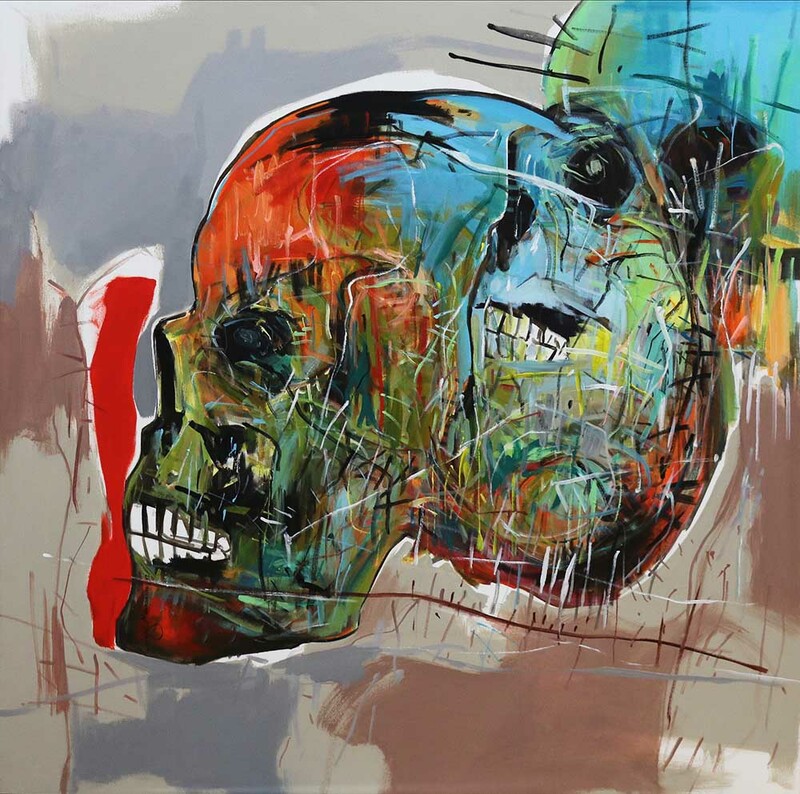 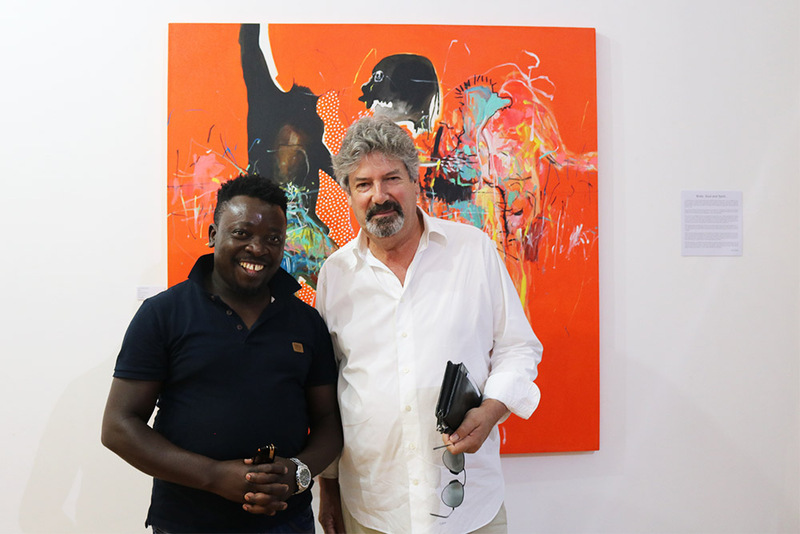 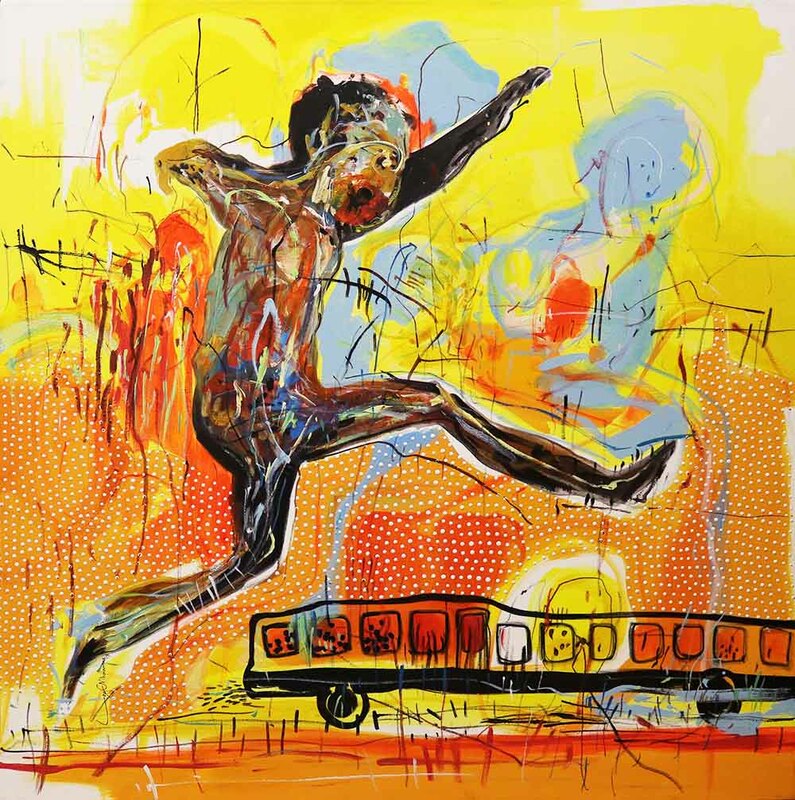 Experiences of his time in the DRC, its suffering, beauty, politics, and culture is evident in his work and has shaped his approach to the themes and styles he uses. 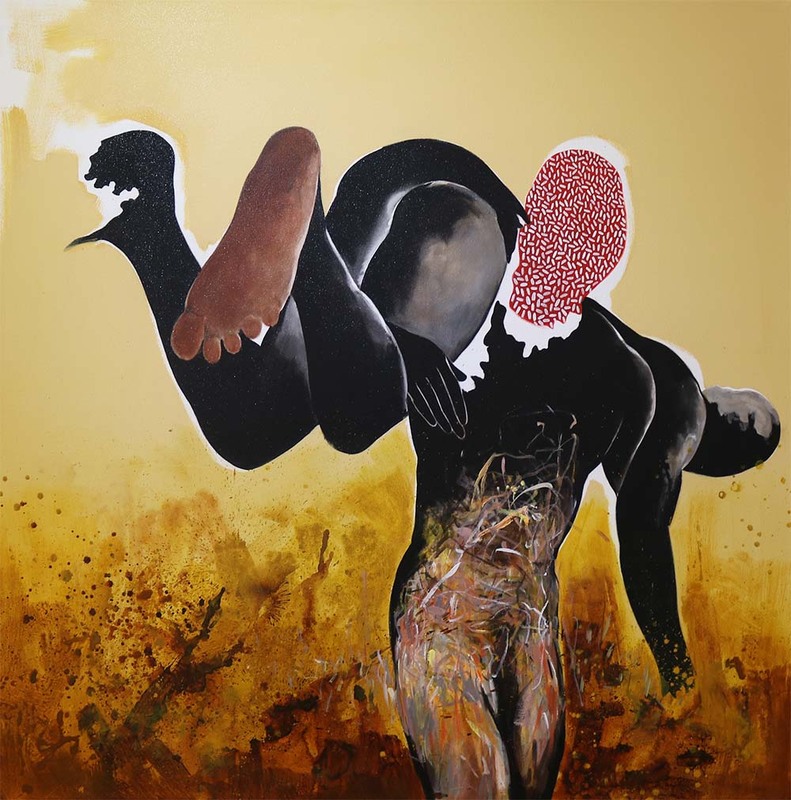 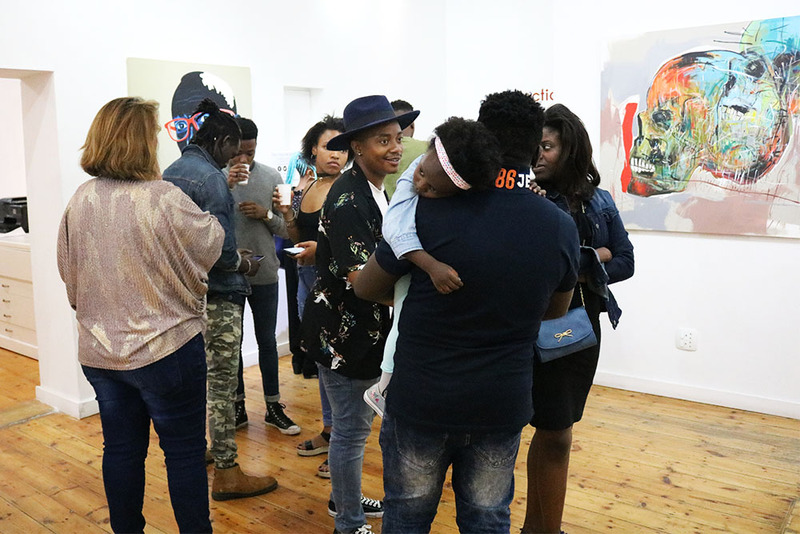 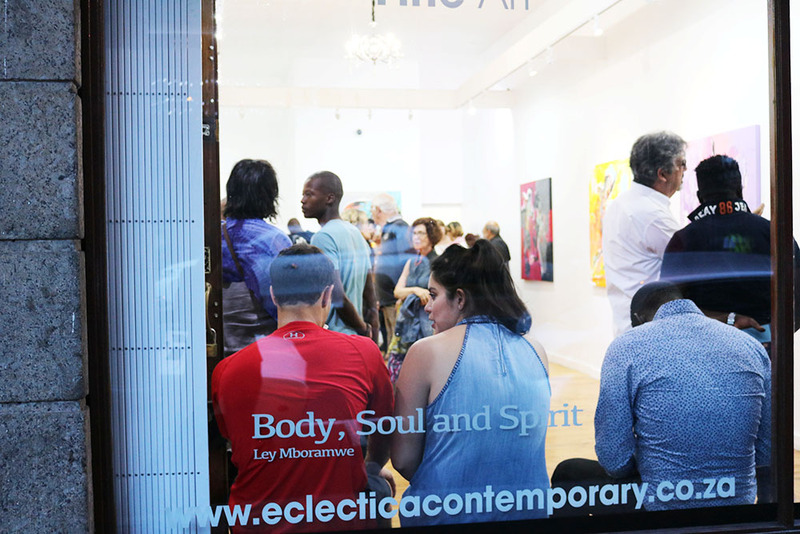 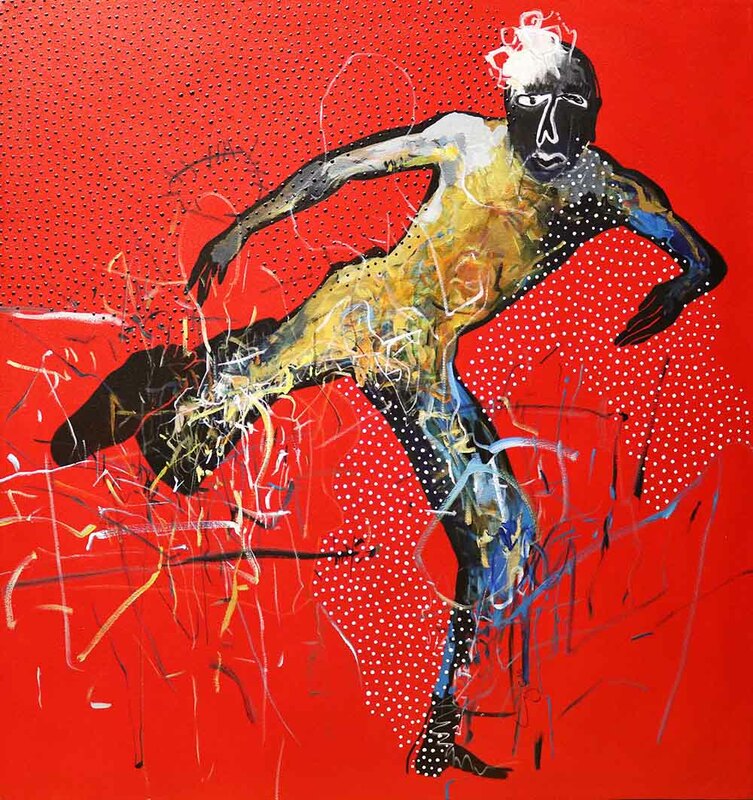 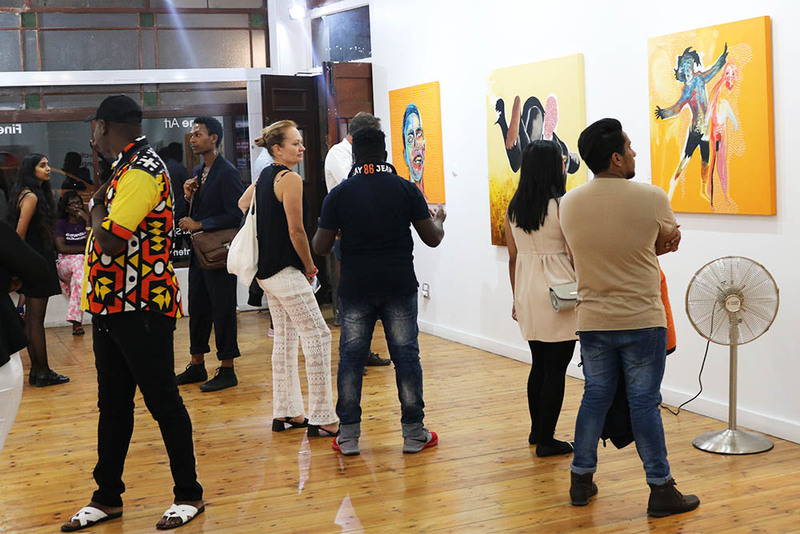 Body, Soul and Spirit follows his first exhibition at Eclectica Contemporary in 2016 titled (Mniata) Lingala and is his debut full solo exhibition in Cape Town. 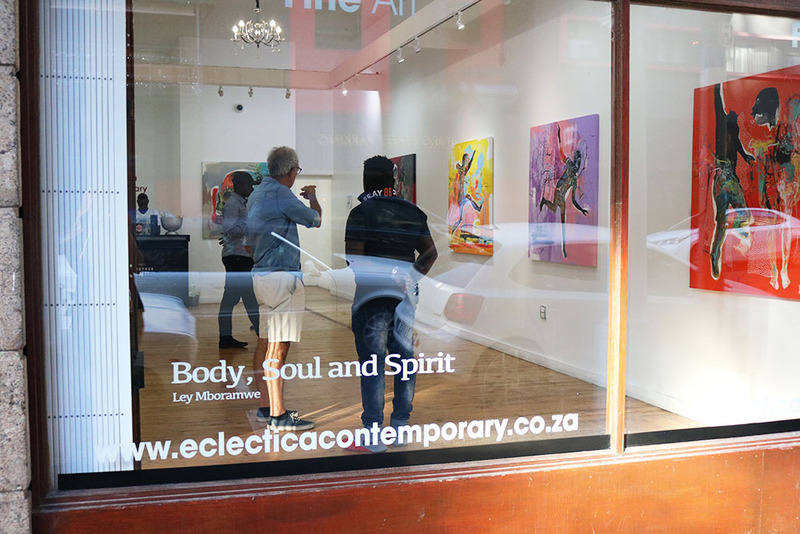 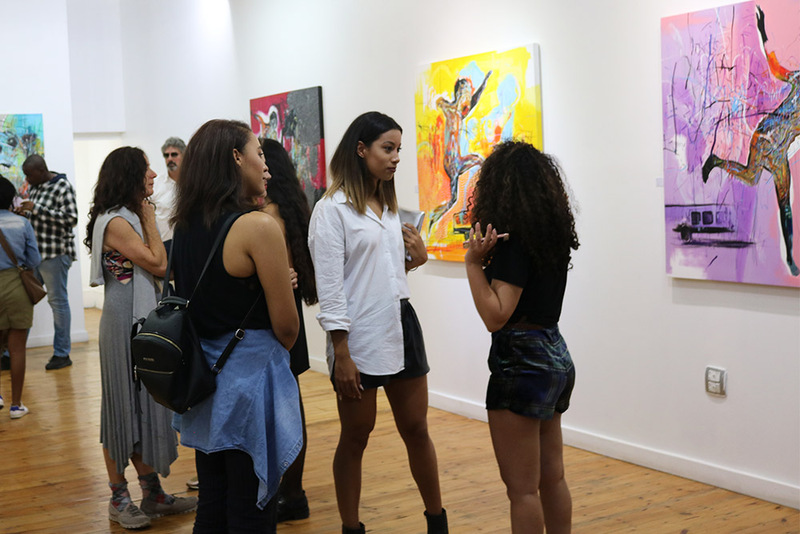 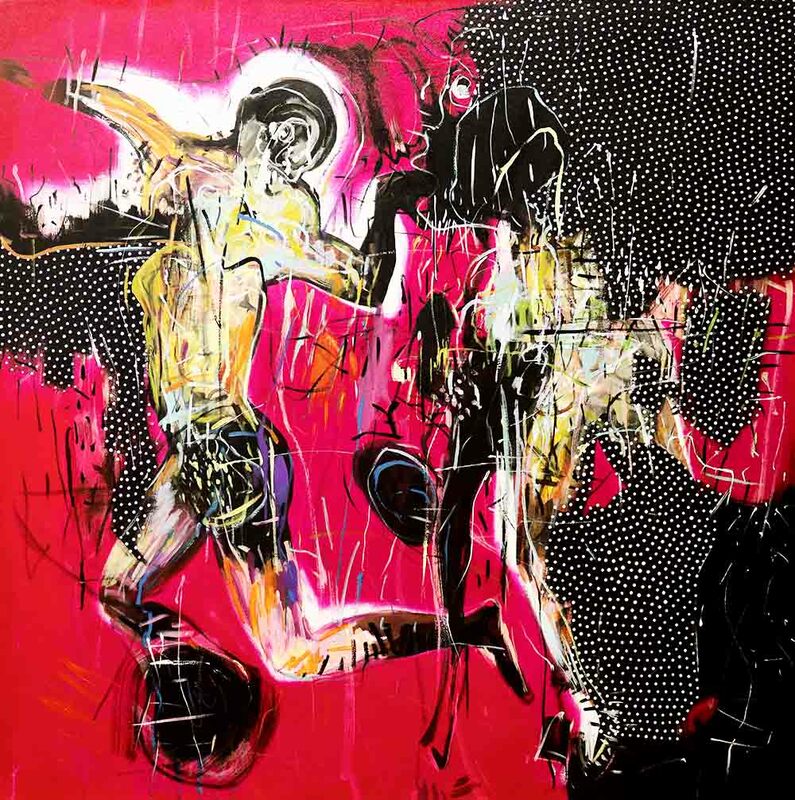 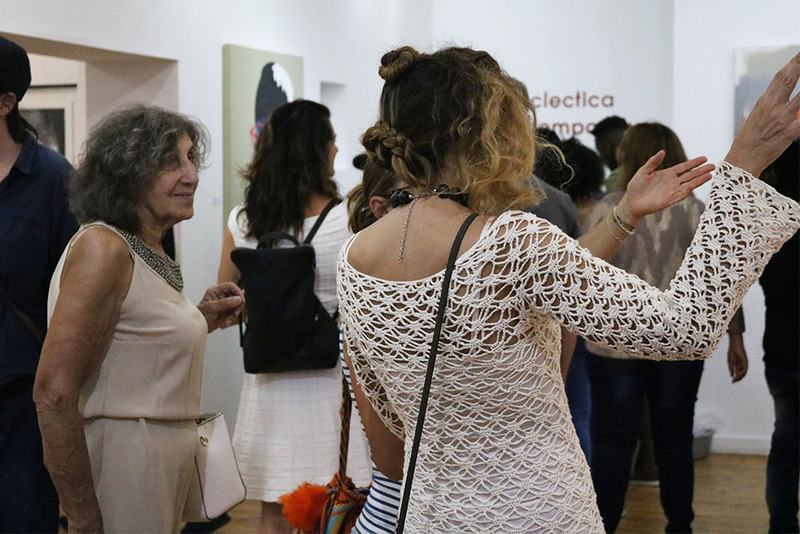 Ley exhibited with Eclectica at Turbine Art Fair in 2017 and has since also featured on various group shows. 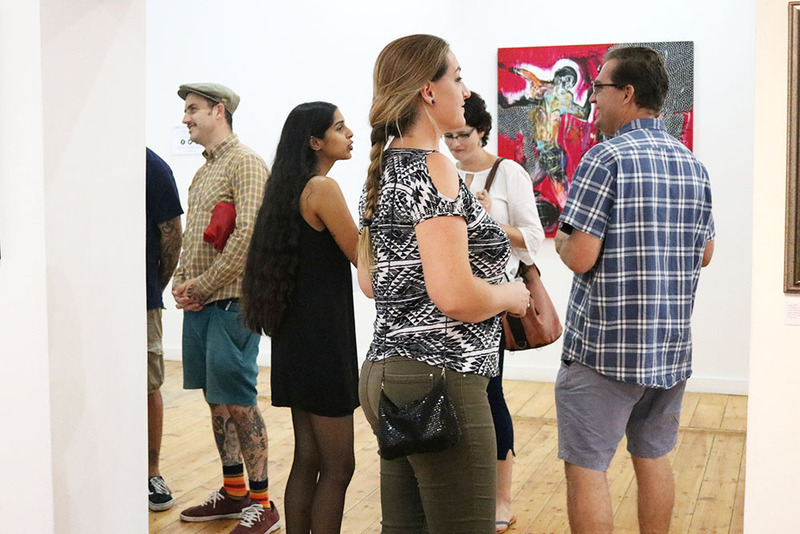 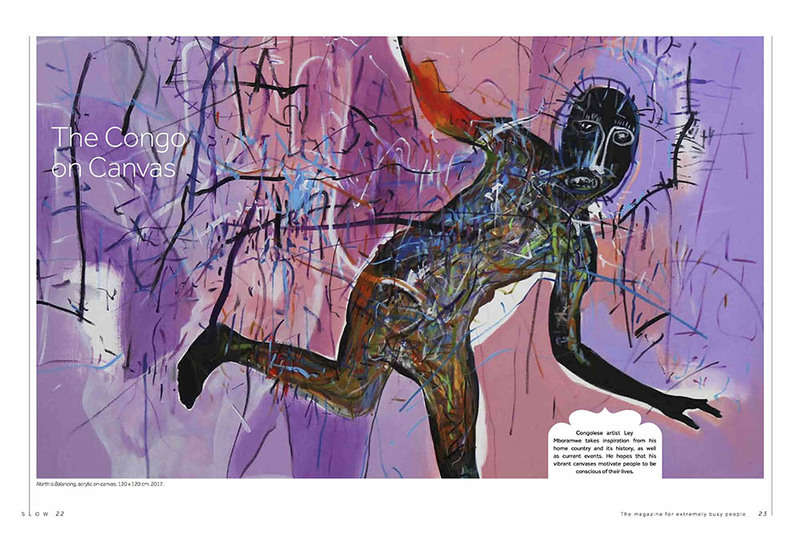 The work in this exhibition throbs and pulsates through the room, vividly pushing their imagery through the space. 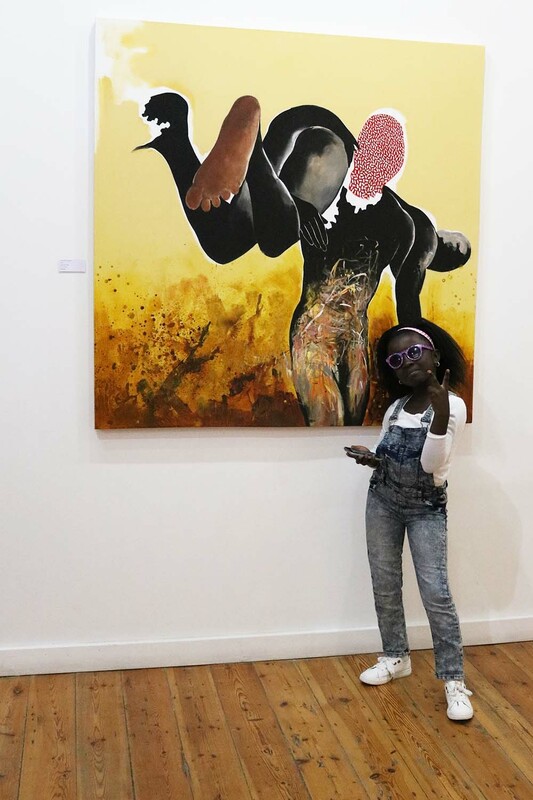 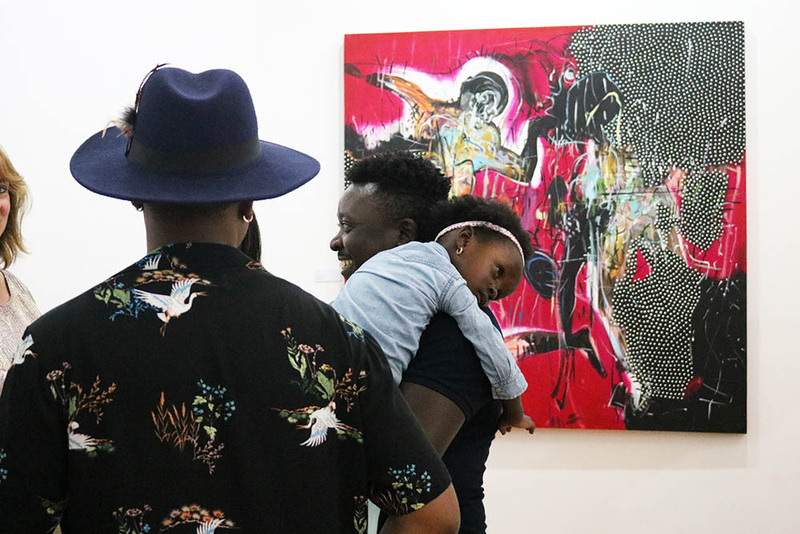 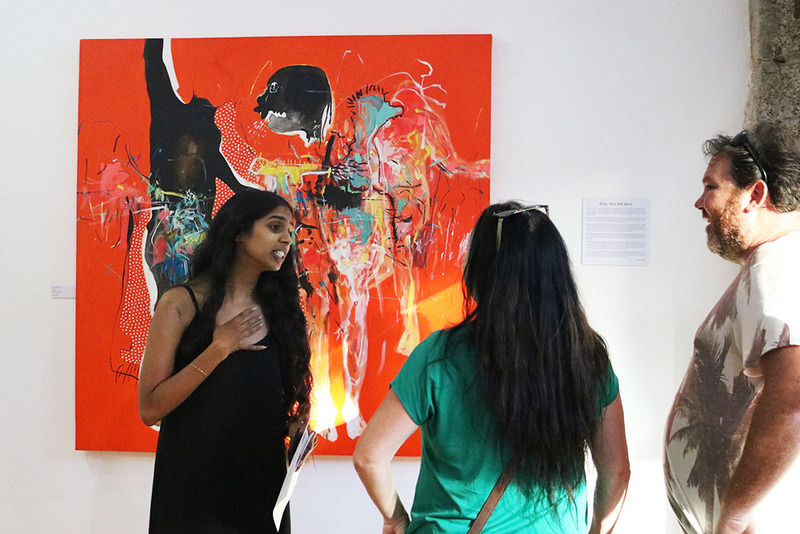 The viewer is confronted with Morambwe’s vibrant mark making and use of colour – colours that mimic the heat and fraught environment the paintings draw on. 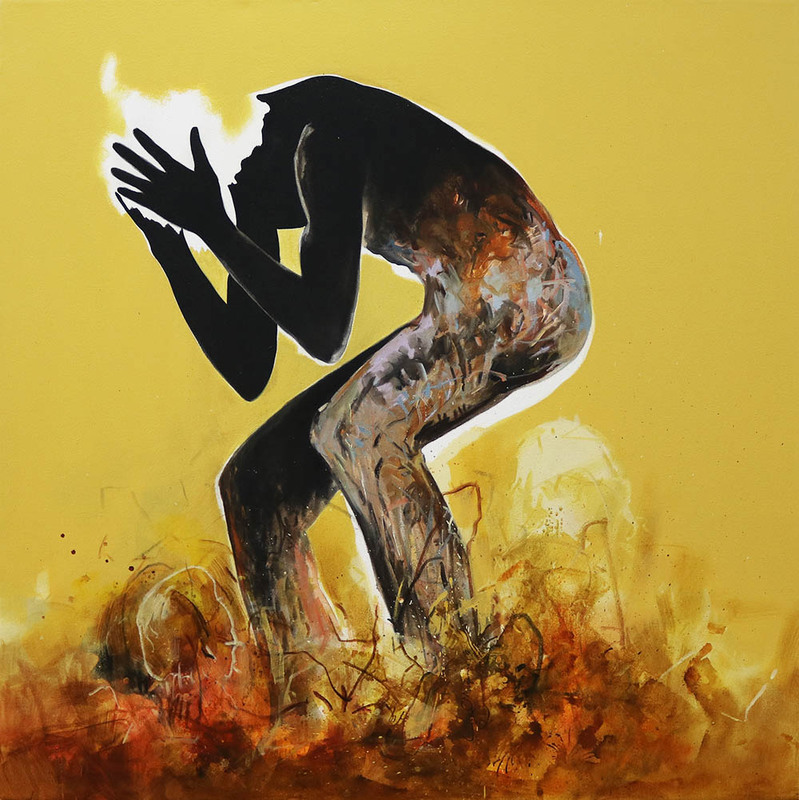 Following on from motifs in his earlier work, Mboramwe’s figures continue to float in space, transfiguring body and flesh, spirit and soul; the abstraction of life that we are eternally caught up in. 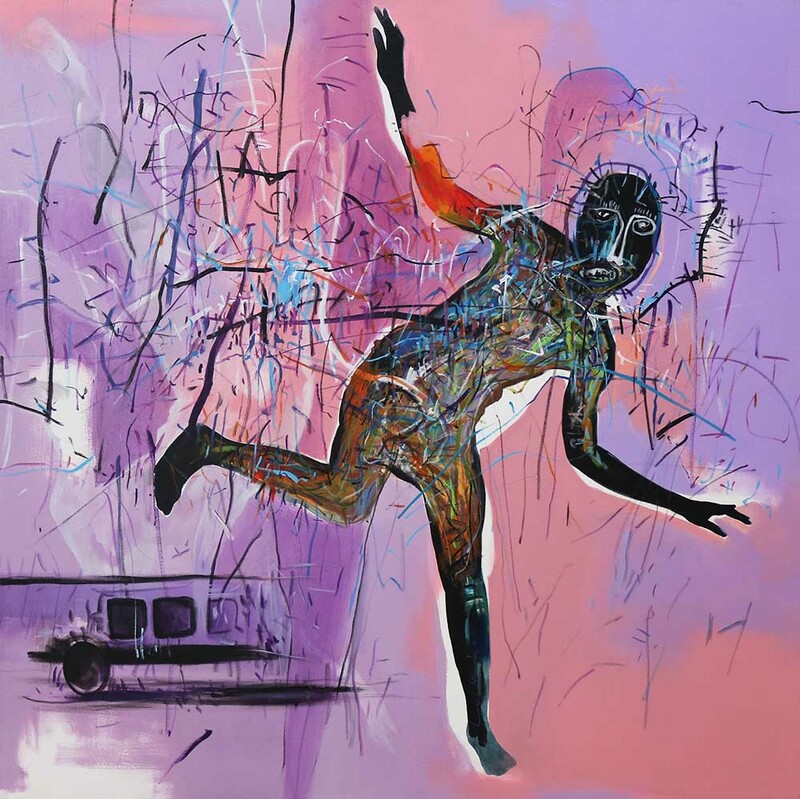 With figures suspended without a horizon line to locate earth and sky, Mboramwe explores the notion of spirit and soul as boundless and removed from earthly necessities. 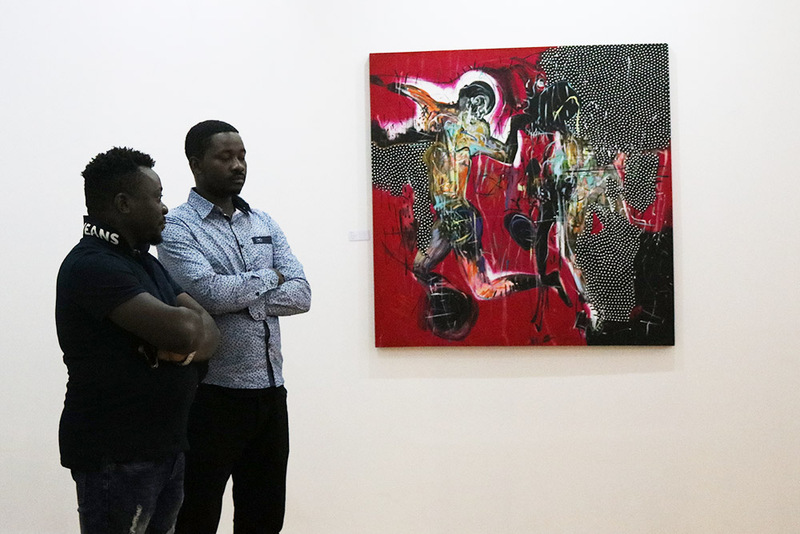 Additionally, the figures are removed from land, earth that is entrenched with the difficulties of politics and socio-economic struggle. 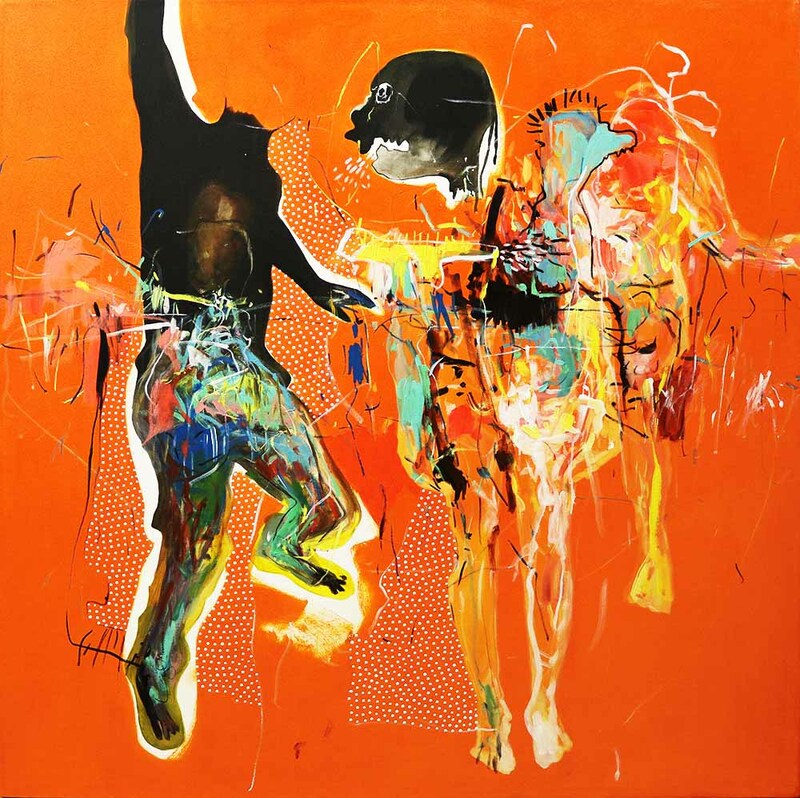 While the works situate themselves in the subliminal, the artist works primarily from the real. 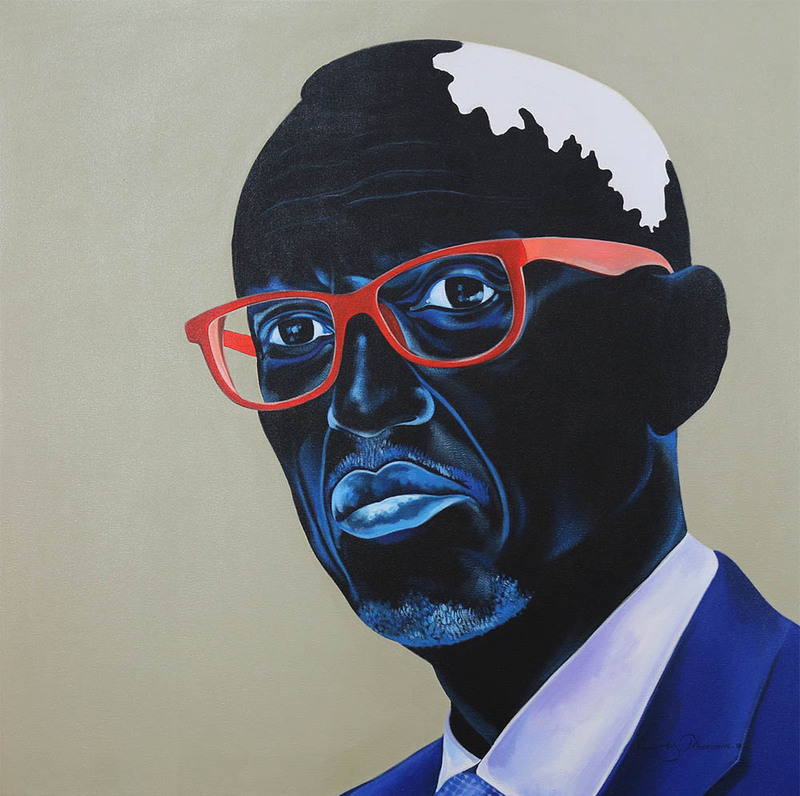 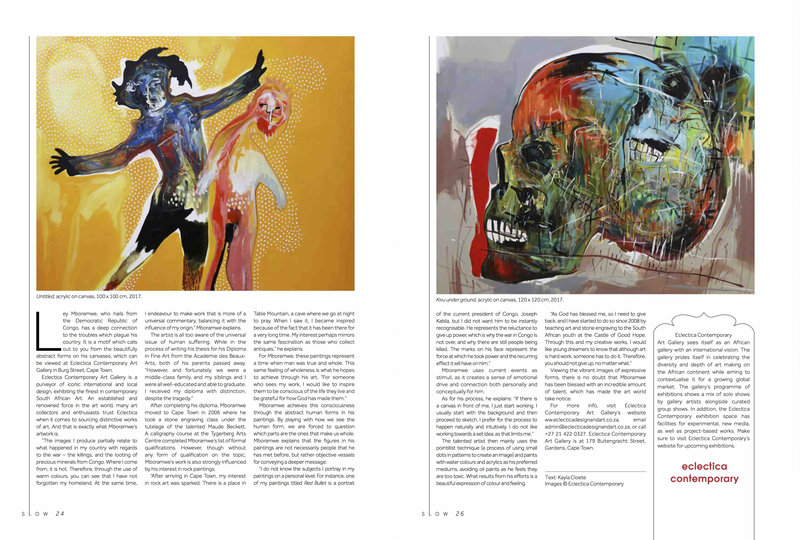 Mboramwe is assertive of his interaction with contemporary culture, current news and the world around him that act as stimuli for his work. 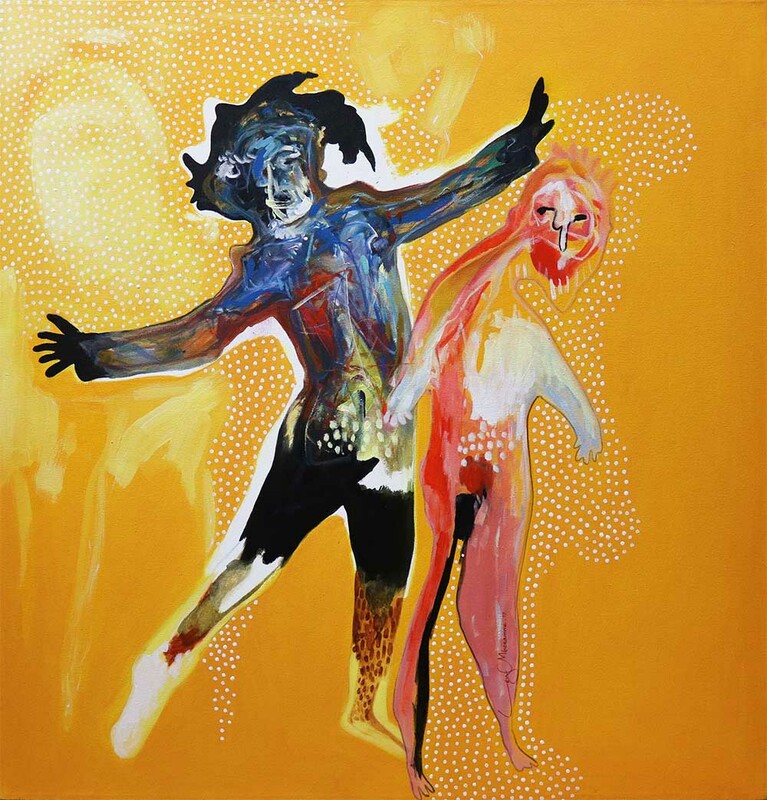 The works are produced through a kind of automatic painting: raw, unplanned and unmediated but rather loose and intuitive, holding a kind of authenticity in their movement such that the viewer can almost breathe with them.